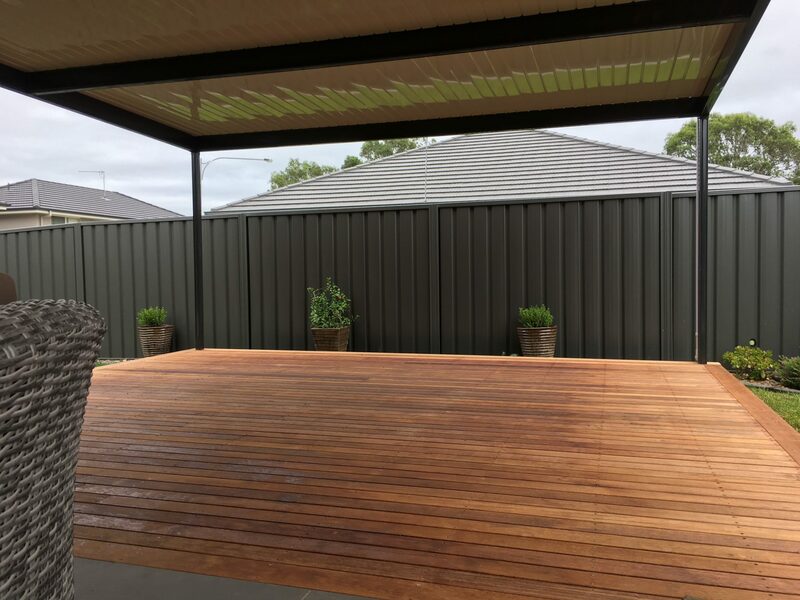 A timber deck by Narellan Home Improvement Centre is the most popular way to re-floor your new outdoor entertaining space. 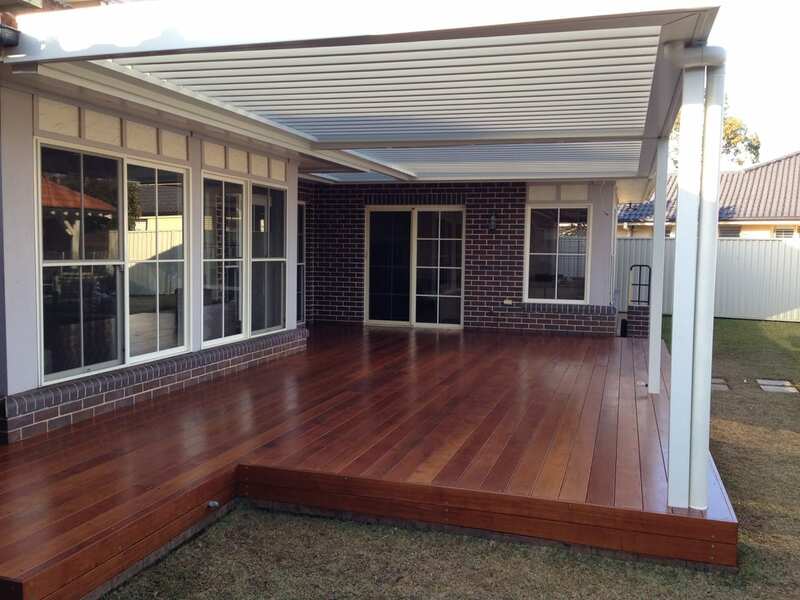 Not only are timber decks cost-effective, they are also ageless and will always be an outdoor feature. 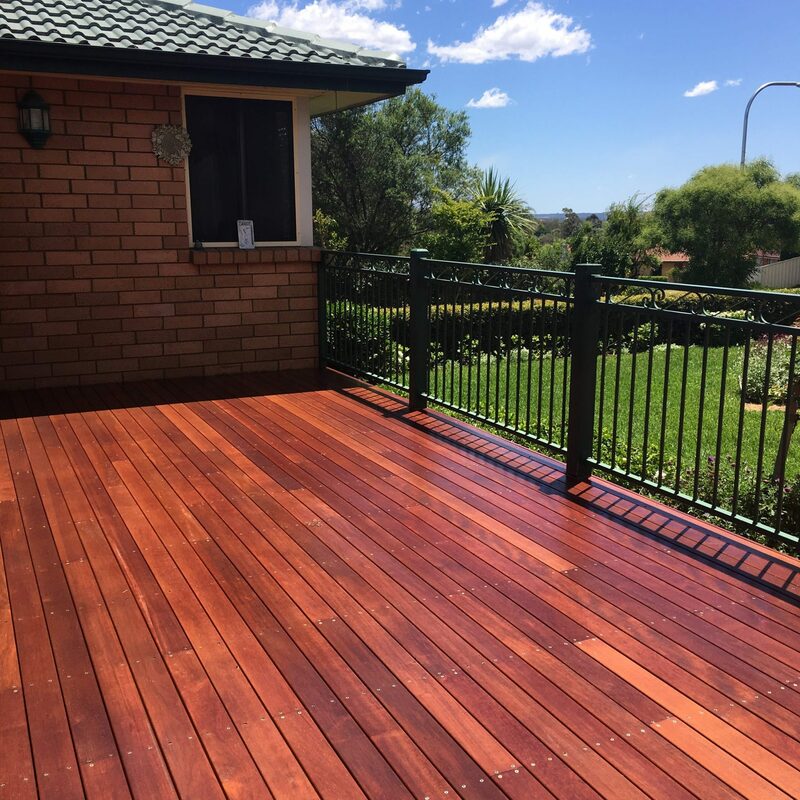 We use a variety of different timber deck materials – the most poplar being merbau decking boards – but we also have plenty of experience in blackbutt, jarrah, spotted gum and pine decking. Live in a fire zone and don’t know if a timber deck will be appropriate for your home’s BAL rating? Speak to us about the various options available. For decks low to the ground, merbau hardwood timber decking boards are one of the best options available at a reasonable price. 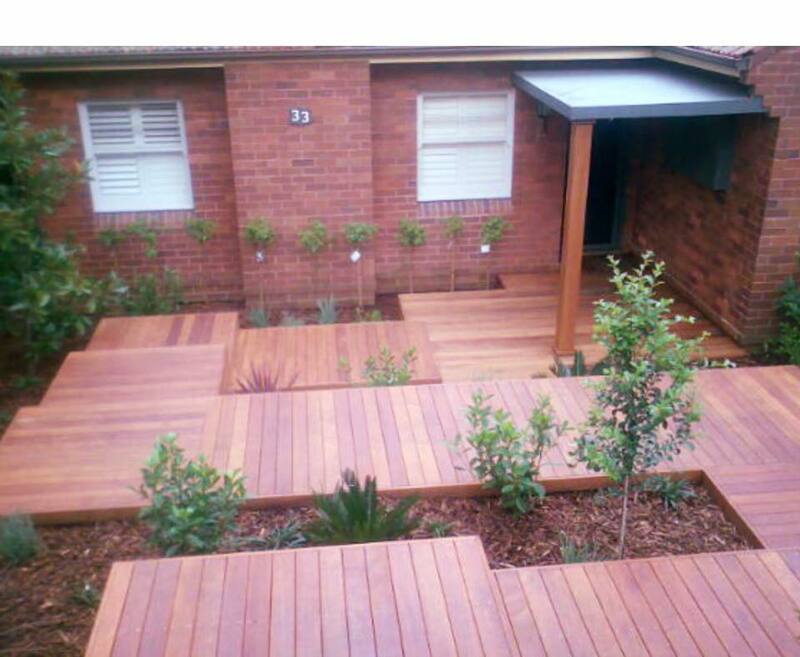 While merbau timber decks have superior termite and weather resistance, they also look very appealing. TIP: Choose a lighter oil for your timber deck to maintain the beautiful natural variations in the timber (see picture). There are many unique finishing touches available for your timber deck. Try a herringbone corner where one decking board ends shorter than the previous decking board. Timber decks have the added bonus of variations in decking board sizes to adapt your deck to your space. 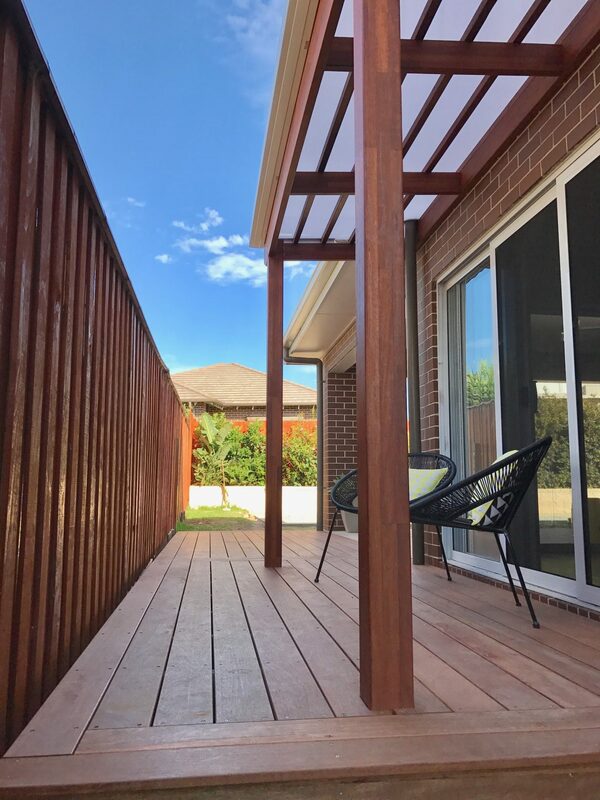 90mm wide decking boards (pictured) respect your space for smaller timber decks, while 140mm wide decking boards make for more of a statement piece and look less busy in larger timber decks. We can adapt our timber decks to any space and shapes. 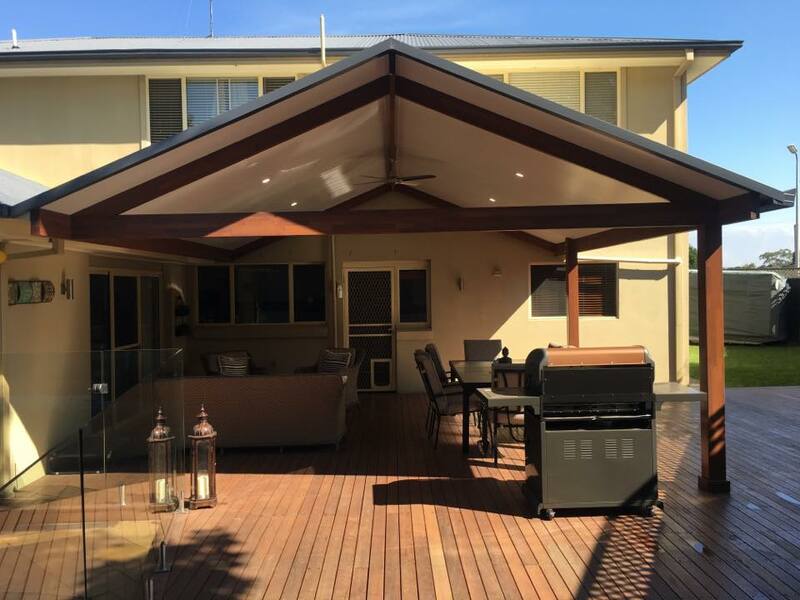 Whether you’re looking to cover an existing alfresco area or build up to a second story, we can provide advice to make sure your timber deck design is exactly what you are after. Timber decks work in harmony with all pergola types such as timber-framed pergolas. For timber decks over 1m, it is recommended that you also install a balustrade/handrail. 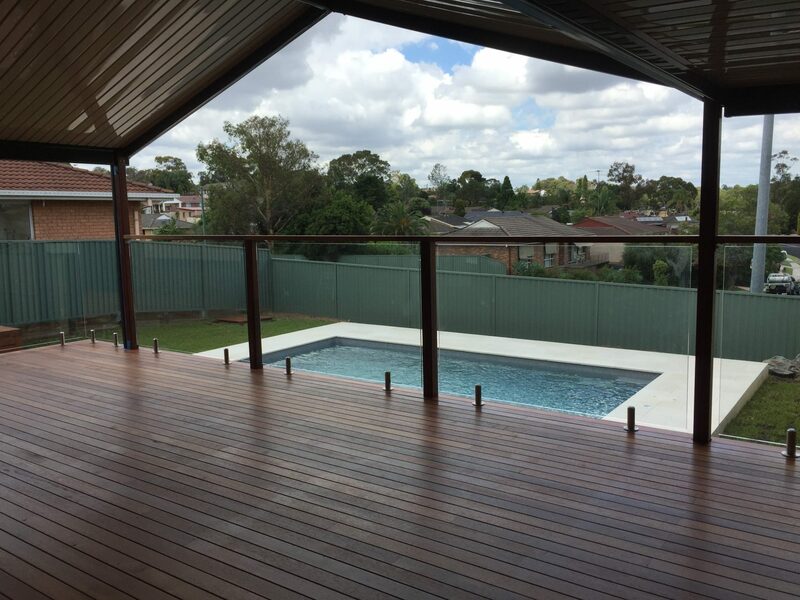 We can install various styles of balustrading systems to compliment your timber deck, such as glass, stainless steel wire, aluminium slats and timber slats. To preserve the life of your timber deck, add a pergola to provide shelter from the weather and harsh ultra violet rays. 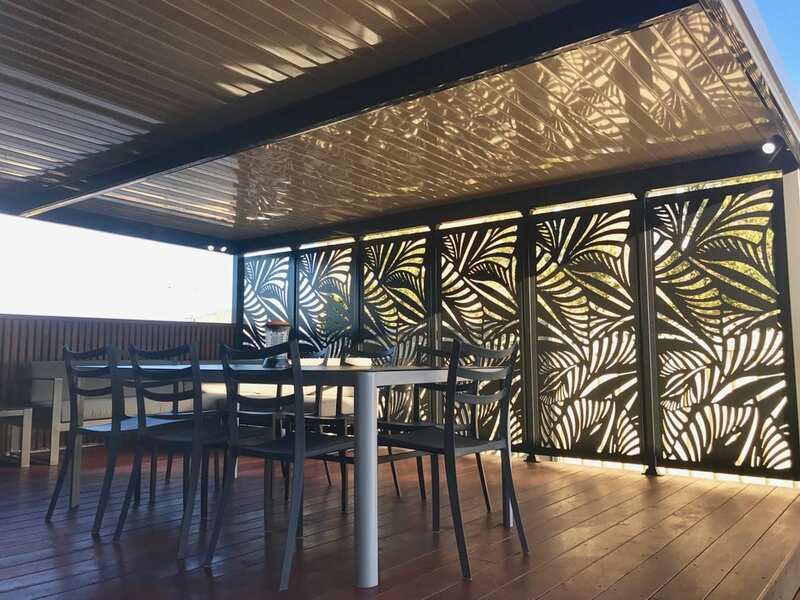 Laser cut privacy screen panels also look great with a timber deck. TIP: Plant-inspired privacy screen panels tie in nicely with your deck’s natural wood grains. Aesthetically, most people choose to align their timber decking boards parallel to the house so that you are not looking out towards the gaps between the decking boards.